Come along for a nice friendly evening of open mic karaoke, with a backing musician. You can come along early and sing a song (from any era), or just get a drink from the bar and watch some music in our intimate bar space. 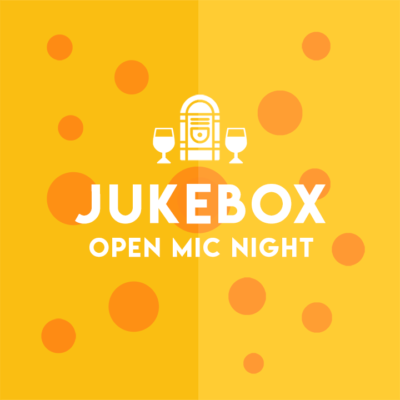 There will be cheese and wine available from the bar, as we pioneer our first cheese-and-wine Jukebox Open Mic Night. Smart dress code encouraged, but not mandatory. So come along to the first smart-dressed-cheese-and-wine jukebox open mic night at the Bristol Improv Theatre. Arrive at 7pm if you want to sign up to sing.